Draft: 1987, New York Yankees, 48th rd. 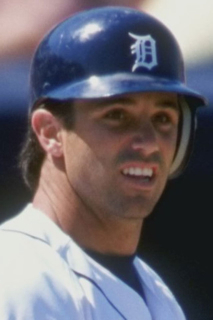 November 1, 2010 C Brad Ausmus elected free agency. July 20, 2010 Brad Ausmus assigned to Los Angeles Dodgers. July 20, 2010 Los Angeles Dodgers activated C Brad Ausmus from the 60-day disabled list. July 15, 2010 Inland Empire 66ers sent C Brad Ausmus on a rehab assignment to Albuquerque Isotopes. July 7, 2010 Brad Ausmus assigned to Inland Empire 66ers. April 28, 2010 Los Angeles Dodgers transferred C Brad Ausmus from the 15-day disabled list to the 60-day disabled list. Pinched nerve in his lower back. April 10, 2010 Los Angeles Dodgers placed C Brad Ausmus on the 15-day disabled list retroactive to April 9, 2010. Pinched nerve in his lower back. January 27, 2010 Los Angeles Dodgers signed free agent C Brad Ausmus. November 6, 2009 C Brad Ausmus elected free agency.